Espey developed this EMI filter for a variable frequency drive (VFD) application. 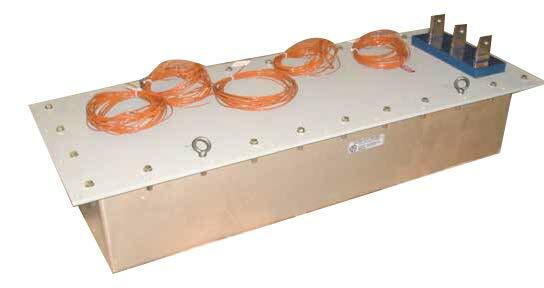 The design is a passive, multi-section LC filter network tuned for high attenuation of conducted emissions for application of an active rectifier, AC to DC converter, eliminating the requirement for transformer isolation, or multi-pulse techniques. The end use is Navy shipboard power interface and EMI compliant. Meets the requirements of MIL-STD-461E when installed in the applicable variable frequency drive application.